At Lewis Automotive, we’re celebrating our 50th year repairing vehicles in West Chester. That’s 50 years of building a stellar reputation on expert auto services and outstanding customer service. We are a second generation family owned business, that has made it customary to treat all of our customers like they’re family too. How we treat our customers is just as important, if not more important, than how we treat their cars. Our customers have continued to choose us through the decades as their dedicated auto repair shop. Generations of families have known nothing else, but our superior services. You can always tell you’re at Lewis Automotive in West Chester by the friendly smiles and efficient services you receive. In short, you’ll feel special, like a priority, whenever you bring your vehicle to us for services. We care about your time, and we know you have a schedule to keep. 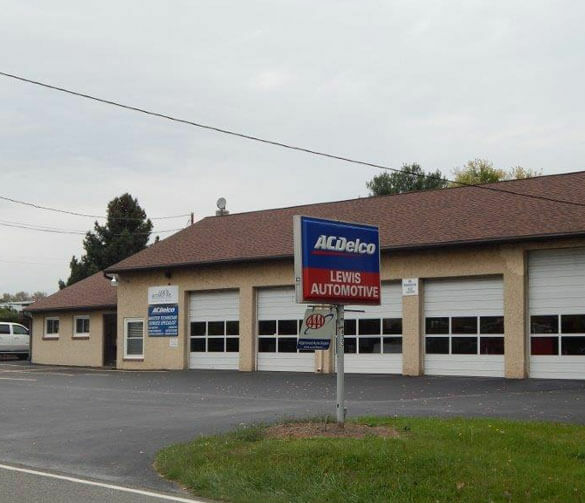 Our certified technicians and A/C Delco Master Technician are prepared to exceed every expectation for your auto services, whether it’s a routine oil change, brake repair, wheel alignment, or more advanced transmission repair or timing belt change. Your repairs are always quick and thorough. We don’t miss a beat and we don’t waste your precious time. Auto services may not be the highlight of your day, like it is for us, but our experts make sure you get everything came for, and much more. The goal at Lewis Automotive is to get you back on the road, and to keep you there for the foreseeable future. We enjoy your visit while it lasts, but we enjoy seeing you drive away in your fully maintained and completely repaired vehicle. Working out of our 13 bay shop on Bolmar street in West Chester, our technicians can handle anything from emergency repairs to regular maintenance. Lewis Automotive works on all makes and models of vehicles, including cars, SUVs, light trucks and vans. Waiting For Your Call, Email, Or Online Appointment! The highly-skilled and highly-trained technicians at Lewis Automotive are ready to provide your every auto service need. Our reputation precedes us, and everything you’ve heard about our automotive expertise is all true. Come find out firsthand how maintenance has kept our customers on the road, off the side of the road, and out of our service bays. Call us today at 610-696-3263 to set up an appointment. Lewis Automotive’s tradition of service excellence began with Gordie Lewis in 1964, at the original location on West Chester Pike. The business continued to grow over the years, to seven service bays by the early 70s. Upon retirement Gordie sold the shop to his son, Glenn, who is the shop’s current owner. 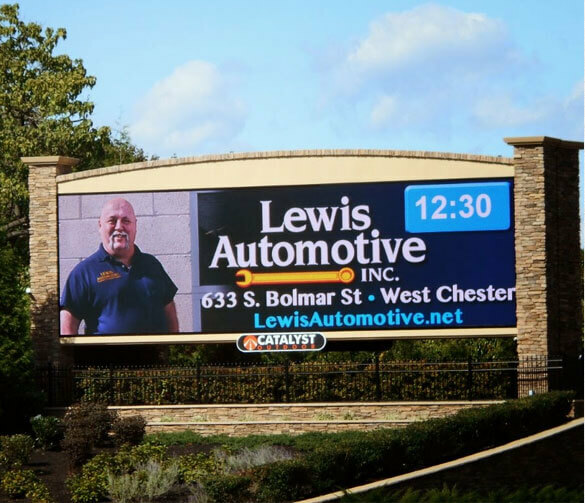 Employing some of the most skilled auto service technicians the industry has to offer, Lewis Automotive remains a pillar of the West Chester community.